Double-click XNA Game Studio 4.0.vsix. 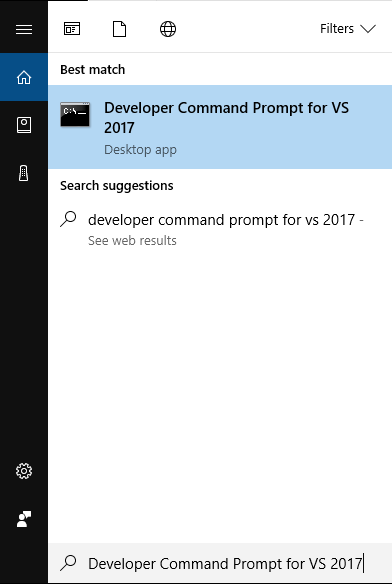 If you get a message stating “The following extensions are not compatible with Visual Studio 2017”, click Yes – the installation will still work. To make the XNA Game Studio files available to Visual Studio, you will either need to create a symbolic link or duplicate the files to Visual Studio’s desired location. mklink /D "C:\Program Files (x86)\Microsoft Visual Studio\2017\Community\MSBuild\Microsoft\XNA Game Studio" "C:\Program Files (x86)\MSBuild\Microsoft\XNA Game Studio"
Execute the following code: (this will add the new version of Microsoft.Build and Microsoft.Build.Framework to the Global Assembly Cache). Note: that you will need to adjust your folder if your Visual Studio is installed on a different directory (such as the D drive). cd "C:\Program Files (x86)\Microsoft Visual Studio\2017\Community\MSBuild\15.0\Bin"
If you are using a different version of Visual Studio, or if your Visual Studio is installed elsewhere, you will need to adjust the location above.